after exploring portland for the day, we headed for the coast and spend three nights camping in different places every night as we made our way south. this was my favorite part of the trip. no cities, no schedules — just relaxation, my main man and mother nature. 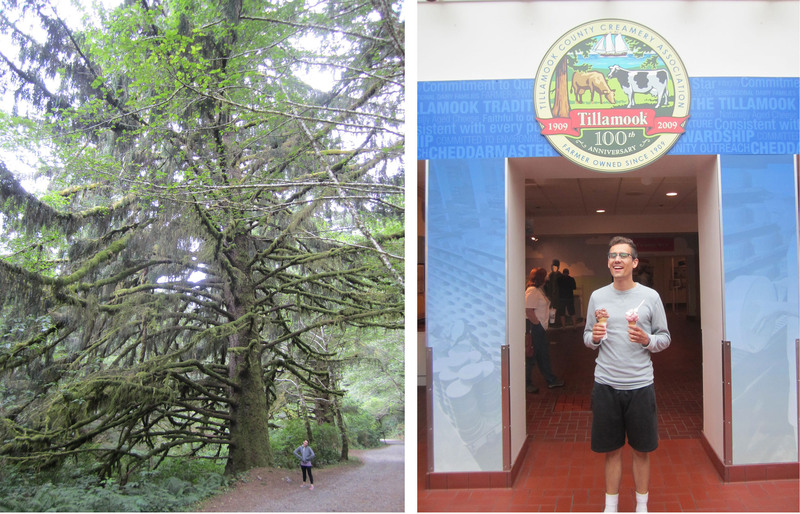 we found insanely huge, mossy trees, and tasted amazing ice cream at the tillamook factory. i dont even love tillamook ice cream (ive only ever had it from the carton) – but when it’s fresh from the source, it’s pretty great! yes, this was about our 7th ice cream moment on the trip. we didn’t eat ice cream for awhile after we got home. 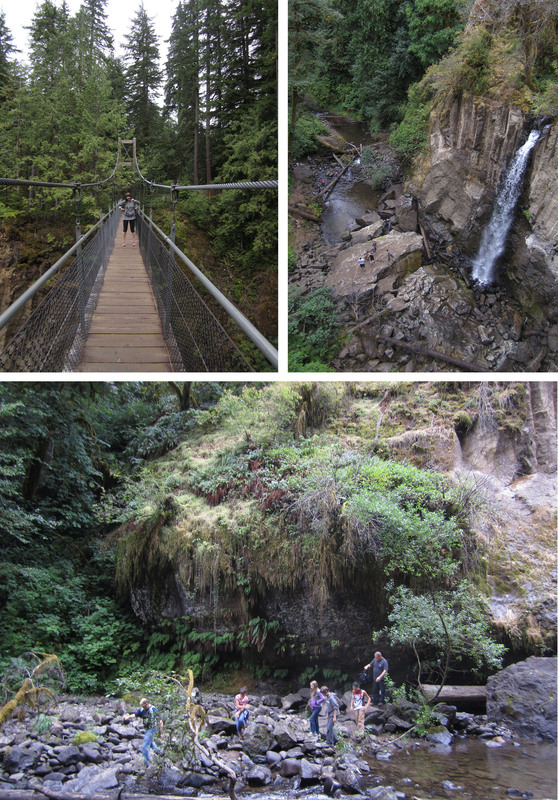 outside of lincoln city, oregon, we took a hike to a waterfall call drift creek falls. it was a pretty magical moment – mossy greenery all around, an overcast sky that provided perfect temperatures, and beautiful views from the waterfall. we felt like we were back in kauai on our honeymoon. it was amaaazing! 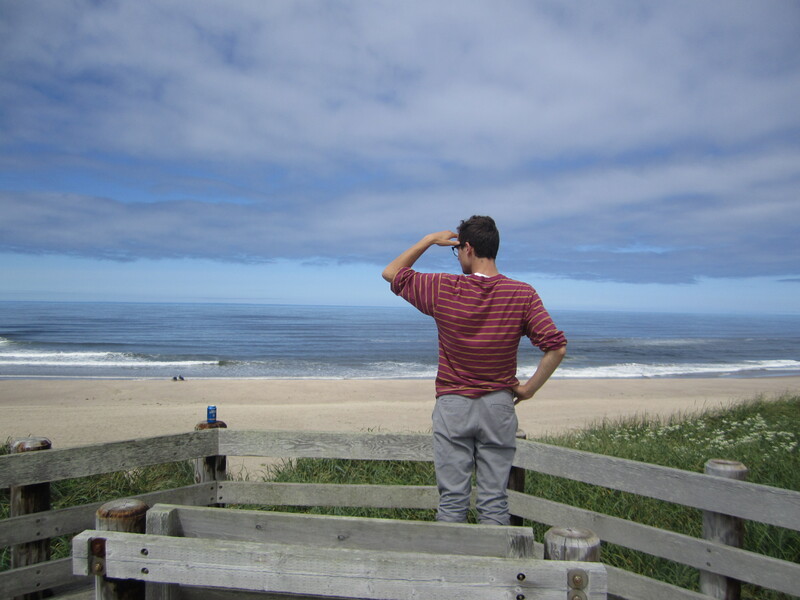 on our final night on the coast we camped at sunset beach in coos bay, oregon. since the place is known for it’s crazy huge sand dunes, we tried to get out there and walk to the top of one, but we ended up running away in fear of getting trampled by a drunkard on an ATV. there are lots of those out there. in the end, we stumbled upon a beach and soaked in the views as we said goodbye to the coast.